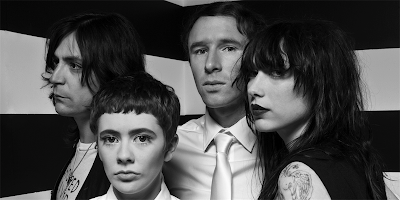 Quirky NY Chick: Those Darlins - "In The Wilderness"
Nashville based Those Darlins recently released a video for their song “In The Wilderness”. The track is from their latest album Blur The Line. The clip was directed by Veta&Theo and can be seen below. For those keen to see the band live, they are on tour...see dates at the end of the post. In addition to the new video, they’ve also released “In The Wilderness b/w Blur The Line” on 7” vinyl. The latter of which appears as a hidden track on the CD and MP3 versions of Blur The Line, but can only be heard on vinyl on the 7".